Imagine this scenario: a vessel owner hires a contractor to complete service on the vessel. 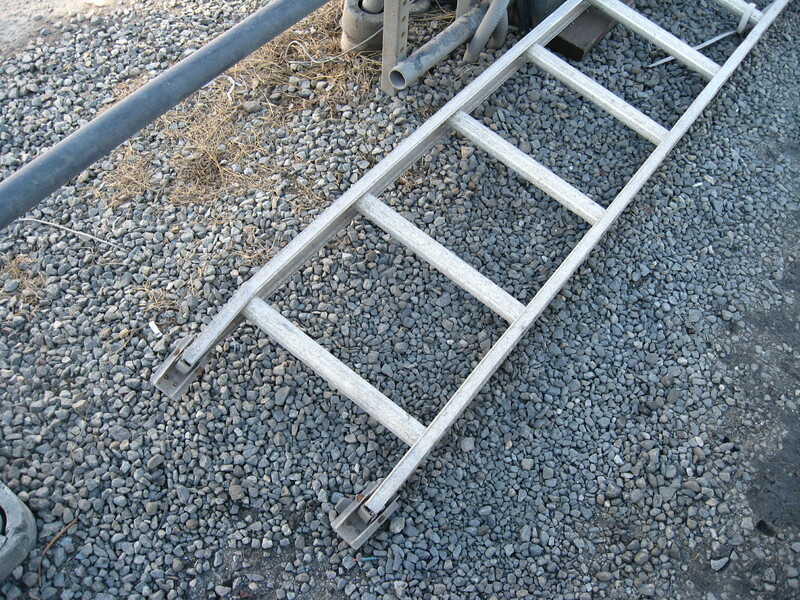 When the contractor’s employee arrives at the facility, the employee borrows a ladder from the marina/boatyard. While performing the work, the employee falls from the ladder and suffers an injury that requires overnight hospitalization. The overnight hospitalization required self-reporting of the injury to the Occupational Safety and Health Administration (OSHA). When OSHA arrives at the facility, OSHA cites both the contractor and the marina/boatyard for a number of violations. Under this scenario, is the marina/boatyard subject to OSHA for the contractor’s employee accident? Several years ago, as the economy crumbled, many employers began to downsize permanent workforces and subsidize employee labor with temporary labor. As temporary worker utilization increased, accidents and injuries increased as well. In the end, the hiring companies shed responsibility for training, claiming temporary workers were not employees of the firm. At the same time, staffing companies claimed an inability to train workers for the job placement based on a lack of operational knowledge. OSHA responded by requiring that each company had a duty to train employees and so began an increased enforcement of OSHA’s Multi-Employer Policy. The scope of this rule has also been expanded to include Contractors/ Sub-contractors and Landlord/Tenant relationships. OSHA published the following, “Under the Multi-Employer Citation Policy, CPL 2-0.1241 (the Multi-Employer Policy), more than one employer may be citable for a hazardous condition that violates an OSHA standard. Any employer that exposes one of its employees to the hazards created by an unsafe condition may be subject to an OSHA citation. In situations where an employer’s own employees are not exposed to a hazard, that employer may still be subject to OSHA coverage, if the employer qualifies as a “creating,” “correcting,” or “controlling” employer. A two-step process is used to determine whether more than one employer may be cited for a hazardous condition. Additionally, OSHA stated the Multi-Employer Policy applied to all businesses. In the scenario above, OSHA may determine the marina/boatyard created the hazard if the ladder had signs of damage. A number of cases exist where OSHA cited both a contractor and subcontractor. Many of those examples are based in the construction or manufacturing industries. From a recent OSHA press release, “The U.S. Department of Labor’s Occupational Safety and Health Administration (OSHA) has cited four employers – Anadarko Petroleum Corporation, Energes Services, LLC, Dominguez Welding, LLC, and Unlimited Services, LLC – for exposing employees to health and safety hazards at an oil and gas tank battery construction project where one employee was killed in an explosion and fire and three others suffered third-degree burns. The companies face $70,711 in proposed penalties. Although there have been very few instances of multi-employer enforcement in marinas/boatyards, one recent case did involve a marina and a contractor. OSHA has insisted for many years that the OSH Act permits the agency to cite multiple employers. However, a recent critical decision by the OSH Review Commission held that OSHA lacks the authority to cite employers for hazards that do not involve their own employees. The United States Department of Labor has appealed this decision through the U.S. Court of Appeals. If the court upholds the Review Commission’s position, then a significant change could be forthcoming. In the meantime, marinas and boatyards need to refer back to the OSHA clarification above. Does the facility have responsibility for “creating,” “correcting” or “controlling” the hazard? In the accident scenario above, if the marina/boatyard had a ladder in service that had visible signs of damage, OSHA will take the position of “creating” a hazard. 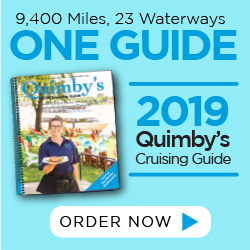 If the facility manager had the ability to stop unsafe work practices and failed to take action, OSHA may take a position the marina/boatyard failed to “correct” or “control” a hazard. If OSHA issues a citation, it is important to seek proper legal counsel. Just as medicine has a variety of specialized fields, legal practices often have distinct areas of expertise. A person would not seek a primary care physician to perform a joint replacement. At the same time, when needed, marina and boatyards should seek counsel from those specializing in the field of OSHA defense. Many times, employers will accept OSHA’s offer to settle the citation at a reduce cost. For example, for the damaged ladder OSHA cites the marina for a ‘serious violation’ with a proposed penalty of $10,000. During the process, OSHA offers to change the citation to ‘other than serious’ with a penalty of $2,500. Most employers will jump on the offer without regard to how it may impact the business down the road. Accepting the citation could be used by the injured worker as the basis for a third-party claim. In other words, when the company accepts the OSHA citation, the company has admitted fault and the injured employee would have a strong claim against the business. In many states, accepting an OSHA citation can increase the payout under worker’s compensation as much as 50 percent. Often, the insurance company will refuse to pay the additional payout and that burden falls back onto the business. Lastly, OSHA may use the citation for the basis of a ‘repeat’ or ‘willful’ violation. If the business has another incident involving a ladder, OSHA may assess a penalty up to $129,000. Since many marinas and boatyards have exposure to contractor/subcontractor or landlord/tenant relationships, it is critical to understand the dynamics of those relationships from a safety perspective. When an accident happens, a plan must be in place. With a good OSHA defense attorney and the pending decision in the U.S. Court of Appeals, businesses should work to have multi-employer citations vacated. Accepting citations under the multi-employer policy could have a significant financial impact on the business based on third-party claims, insurance claims and repeat OSHA citations.